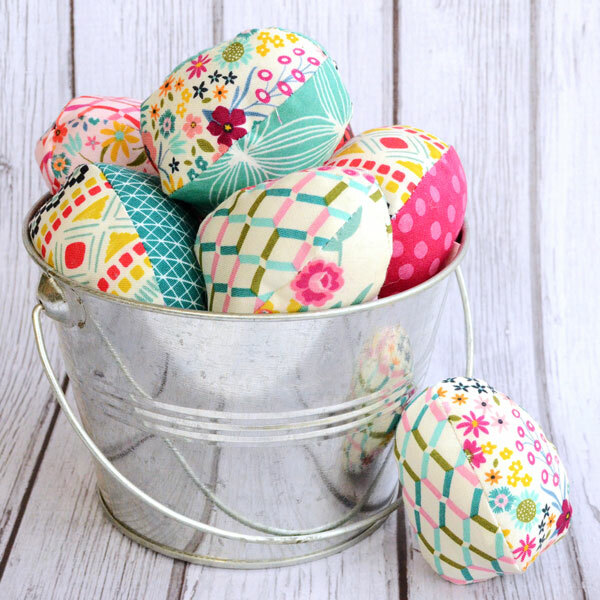 These fabric Easter eggs are quick to make, and look so pretty sitting in a basket! And unlike real dyed eggs, you don’t have to worry about anyone dropping one or making sure you eat them before they start to stink. The bright colors and prints are just so fun all together! 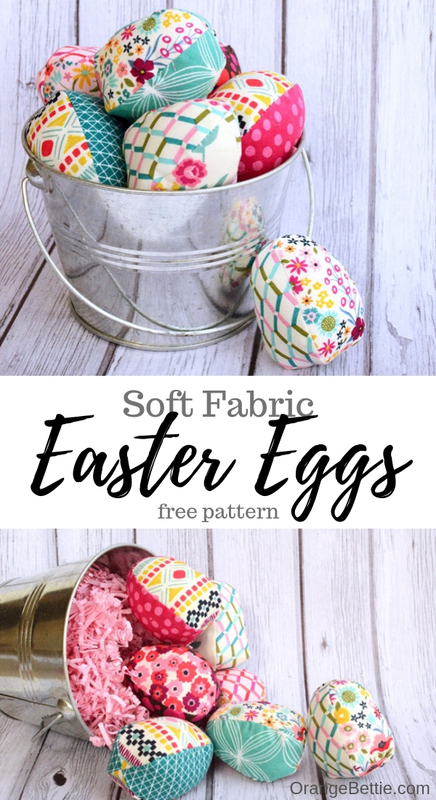 You can make one of these fabric Easter eggs from a single fabric, but I enjoyed mixing prints and colors on the eggs. The pattern piece for this project is fairly small, so it’s a good one to use up your scraps. 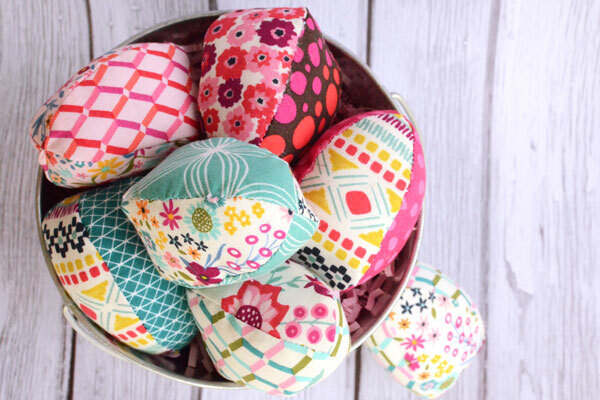 Or, use some charm squares to make them in coordinated prints. It takes just 2 charm squares to make 1 egg. 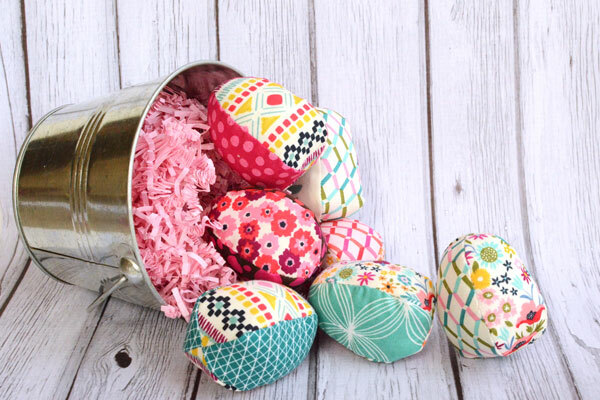 One pack of charm squares will make a whole basket of pretty fabric eggs to decorate your home! Because they’re soft and won’t break, they’re also a great toy for young children. Kids can play with putting them in a basket and taking them out again. You can even hide them around a room to let them find the eggs. Then, let them hide the eggs for you! Place 2 of the egg pieces right sides together. Stitch down one side with a ¼” seam allowance. Repeat with the remaining 2 egg pieces. 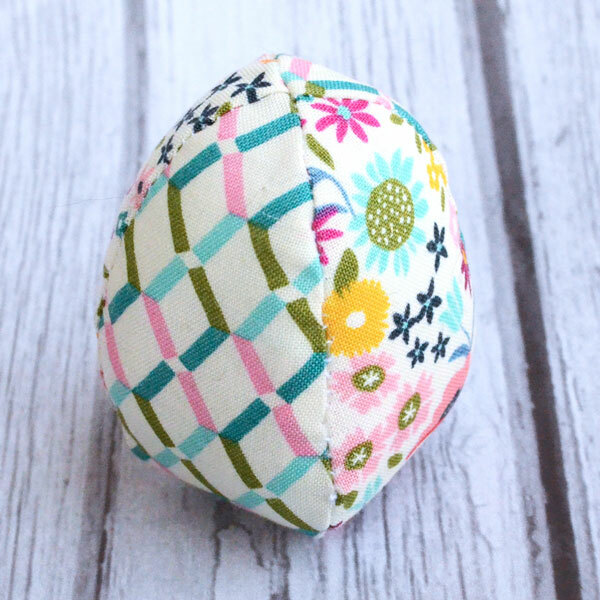 If you’re making the egg from 2 different fabrics, make sure each pair uses one of each of the two prints. Then, make sure you stack and sew them the same way so you end up with two identical pieced pairs. Now you have 2 halves of an egg. 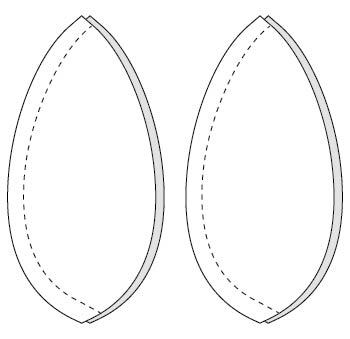 Place the 2 egg halves right sides together, matching seams at the top and the bottom. 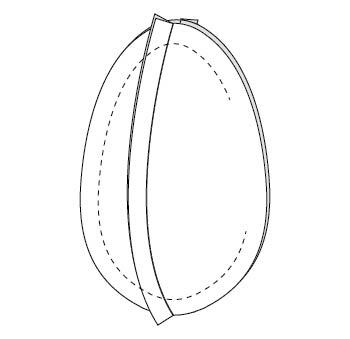 Sew all the way around with a ¼” seam allowance, leaving 1.5” open to turn it right side out. Clip curves, then turn right side out. Stuff the egg with the polyester stuffing. I found that my eggs looked more “eggy” when I really packed the stuffing in. 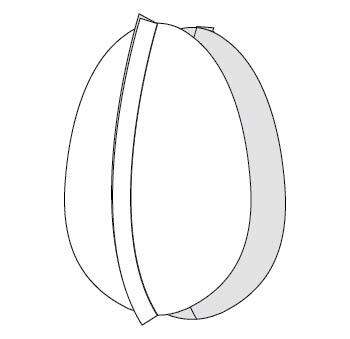 Use a ladder stitch to close the turning hole. Anne is a fabric hoarding sewing fanatic and crazy cat lady. Orange Bettie is her sewing and crafting alter ego, as well as her blog.